Since her spiritual awakening at the Findhorn Foundation in 1976, Hope Fitzgerald has been a dedicated seeker of truth, healing and wisdom. For nearly 20 years, her expertise in Intuitive Dowsing has helped people transform their lives. In 2010, she was directed through channeling to launch a series of workshops introducing an energetic called the Infinity Wave. These Wave Energy Evolution workshops are comprised of powerful practices that have helped many participants to create miraculous healing breakthroughs. In 2011, Hope launched the Wave Energy Center for Conscious Evolution, dedicated to the positive, expansive development of the individual, the community and the earth. In late 2012, Hope debuted on the 11th season of Healing with the Masters with Jennifer McLean, launching a global platform to teach people the Infinity Wave. Since then she has been a featured speaker on many other radio and telesummit shows. Hope also guides groups on sacred travel to various locations around the globe, such as England, Israel, France, Ireland, Hawaii and the U.S. During these spiritual adventures, she teaches ways to communicate with the landscape and each other, believing that when the powerhouse of the human heart interacts with a highly-charged sacred site, an alchemy occurs that is guaranteed to cause a shift in consciousness. 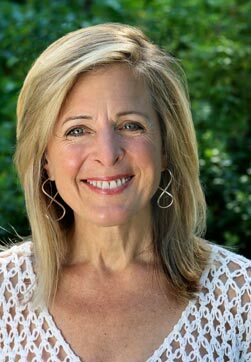 Hope has a private practice as a certified Neurofeedback Practitioner, an Intuitive Dowser and a Life Coach, while also incorporating sound, Reiki and energy healing into her work. Hope Fitzgerald explains the Infinity Wave, a channeled energetic tool to encourage joyful, speedy evolution both on personal and planetary levels. The Infinity Wave is the movement of a higher dimensional frequency, which breaks up and dissolves duality, clearing the way for a co-creative dance with life. In its basic form, it can be used to allow flow in everyday life, while at its most evolved, it is a vehicle for spiritual enlightenment. Hope Fitzgerald’s demonstration of the Infinity Wave Practice called “Widening the Heart” Hope Fitzgerald delivers an Infinity Wave practice called “Widening the Heart” while playing a crystal bowl. The combination of the sound with the practice stimulates the body, mind and spirit to vibrate at a cellular level and encourages the movement of energy to clear blocks and resistance. This simple yet powerful practice can be used repeatedly as a meditation device that offers an opportunity for deep transformation.